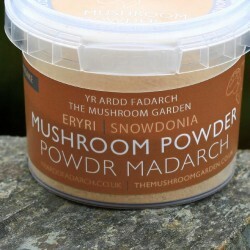 Dried mushrooms, powders, and seasonings from a family run business that specialises in growing mushrooms in Wales. 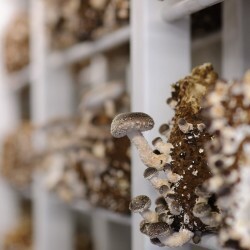 10 years ago, founder Cynan decided to investigate further into the fungi kingdom, starting with the wild mushrooms of Snowdonia and soon turned his attention into cultivating exotic mushrooms in Wales. He started The Mushroom Garden with his wife, June and two children Megan & Rhys. Their mushrooms are grown in controlled units, but this does not mean that they do not thrive on the clean pure air of Snowdonia, and the "typical Welsh weather" - Rain & Mist. 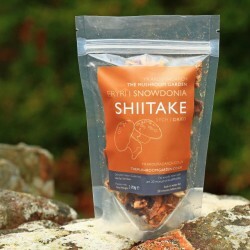 Even the blocks that the shiitakes are grown on are made from 95% Welsh Oak.... these truly are Welsh through & through! 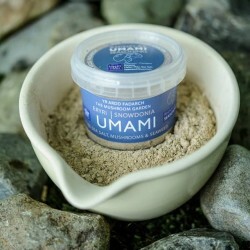 Their Shiitake Mushroom "Caviar" won two gold stars in the 2014 Great Taste Awards.